What group activities might make you feel less lonely? 13. Pay attention to the things that matter. How do we expect to improve our loneliness when we don’t know what causes it? It’s hard. So it’s helpful to start paying attention to the present moment. What are the experiences that make you feel lonely? And what are the experiences that make you feel connected or like you belong? 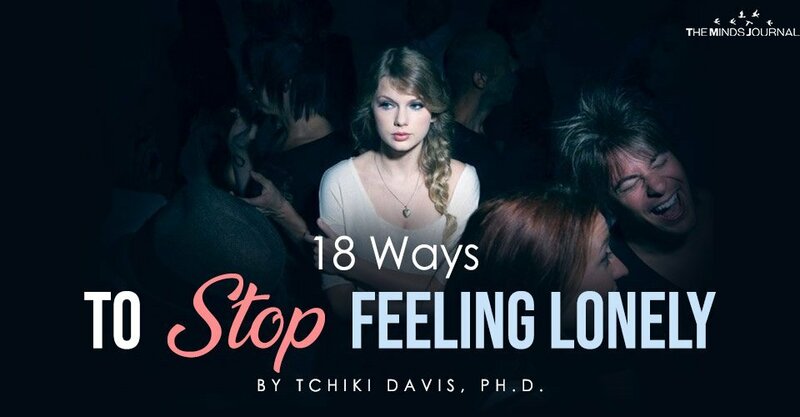 Identifying these moments can help you reduce loneliness, because you can limit your engagement in activities that make you feel lonely and increase your engagement in activities that make you feel connected. 14. Create a vision board. I keep a vision board tacked up by my desk to remind me of my goals. A big chunk of my vision board is about connecting — building community, networking, spending time with family, and the like. Sometimes I have a hard time sticking to it, but having the vision board reminds me to. Once you discover the things that make you feel less lonely and more connected, it can be helpful to create a board or list or plan for what you’ll do — something to keep near you so you remember what you need to do to combat loneliness. 15. Tend to your network. Sometimes we can end up feeling alone even though we are connected to lots of people. So it can be helpful to reach out to these people and schedule times to catch up. Aim to schedule at least one social hour per week — a coffee date, lunch, or happy hour. Who knows, maybe an old friendship can be reignited. 16. Join an online group of like-minded people. You can now find people online with just about any interest — for example, politics, cooking, or sports. Joining one of these mission-oriented groups can be a way to feel more connected to others, even when you don’t have access to face-to-face interactions. You might get to know some new people or make lifelong friends. You can even try out a few groups to see which ones fit you best and decrease your loneliness the most. 17. Volunteer remotely or in real life. For some of us, it’s hard to find people to spend time with, let alone connect with. So we have to find new people. One way to do this is by volunteering for a cause, either remotely or in your town. Just be sure you’re working with others. Working on an important problem with others can help you decrease loneliness. 18. Be nice to yourself. It’s important to practice self-compassion when you fail at things. Remember, everyone fails, and there is no need to be a bully to yourself, feel guilty, or put yourself down. That kind of attitude won’t help you decrease loneliness, now or in the future. Instead, try talking to yourself in a way that is supportive, kind, and caring — and you’ll be more likely to acknowledge mistakes you may have made in trying to decrease loneliness, and hopefully do better next time. Check out Berkeleywellbeing.com to learn how to find happiness, balance, and connection in our technology-obsessed world. Holt-Lunstad, J., et al. (2010). “Social relationships and mortality risk: a meta-analytic review.” PLoS Med 7(7): e1000316.